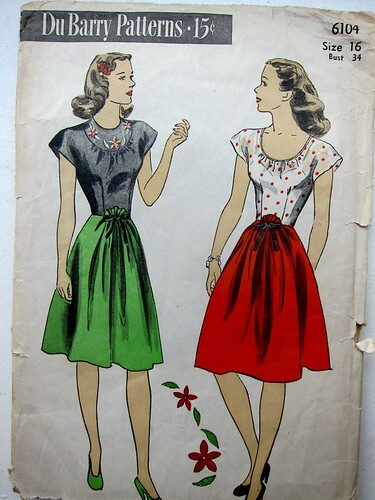 Vintage Du Barry 6104 Two-piece dress w/ embroidery detail, originally uploaded by M1khaela. You can tell a lot about a sewist by his/her pattern collection, so I thought I'd share some highlights of mine--most of them unsewn, but all of them loved. 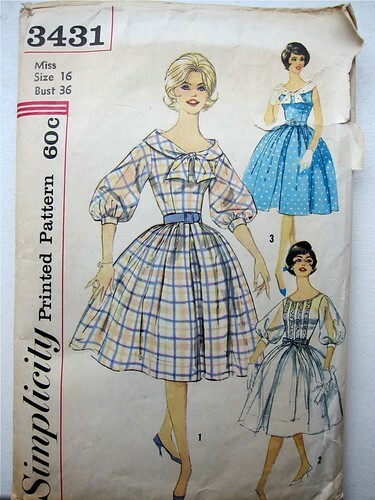 I acquired most of my small vintage pattern collection in one gigantic dusty cardboard box purchased for about $30 on Ebay five years ago--there had to have been 30 or 40 of them or maybe more, most of them unpictured in the auction details. 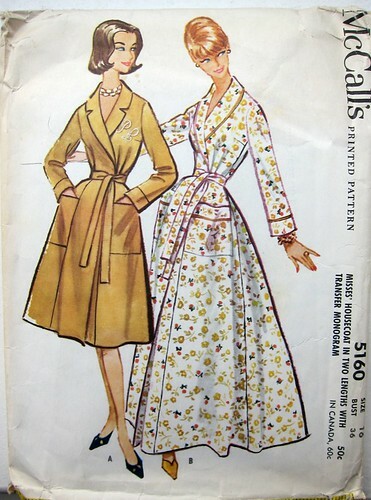 I believe the seller was unloading her mother's patterns. Some were cut, some uncut, some had notes or stamps, and they ranged from the late 40s through the late 60s. Lucky for me they were mostly in bust sizes 34 or 36. I gave away or sold all the 32s and 38s (too much grading work!) 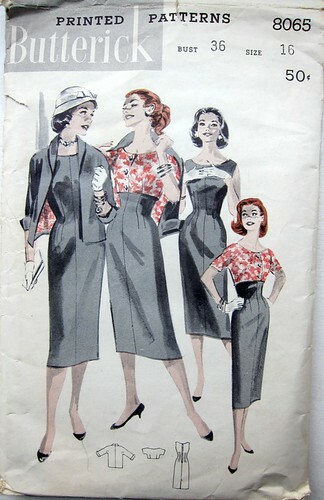 and all the styles that weren't quite me--including, sadly, the maternity patterns, which could have come in handy! There were 10 survivors. The above is my favorite--I believe it's from the late 40s. It's a fitted button-backed cap-sleeve blouse with a yoke or scoop neckline, paired with a gathered-front skirt. It even comes with a template for the embroidered yoke, but I'm hoping to make the scoop-neck version when my waist returns. Even this bolero and jacket (part of a three-piece-suit of sorts) have cut-on sleeves! This fabulous shirt-dress (would definitely go for the full-skirt version to balance that huge collar) has real sleeves, but I'm slightly concerned with the blousiness of the top. 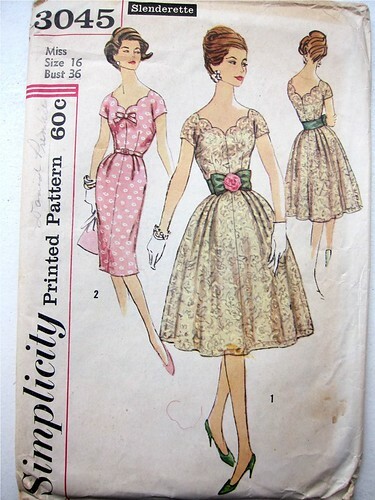 More recently, I've been buying (and actually sewing) vintage maternity patterns. More on those later! By the way, I've also posted the backs of the envelopes for all of these if you click through to Flickr, in case you want to see the actual flats or pattern piece shapes. 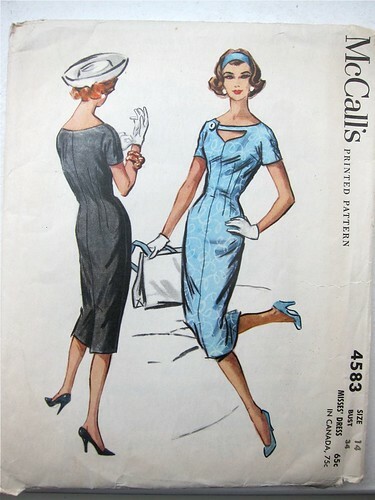 Those are great patterns, but the drawings make me feel like necks connected to shoulders differently back in the early 60s(?). I saw your red skirt on BurdaStyle (love the Parisian look with the striped top and the heels) and then found your blog through Male Pattern Boldness. You're totally in my feed now! 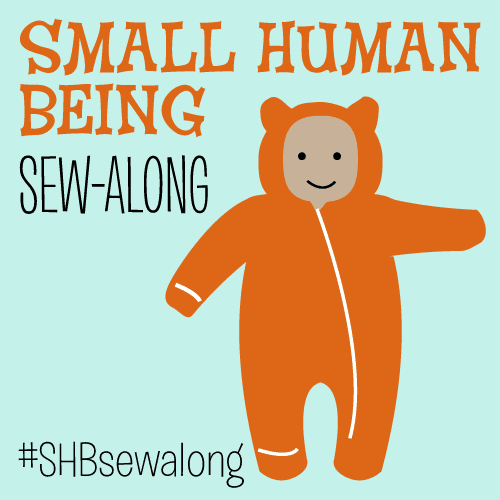 Good luck with the blog and the baby and the sewing and anything else you are doing. Thanks! Yes, they do all have bizarre long swan-necks... I try to draw myself in the dresses to see how they will REALLY look and it's never really like that! I love the top of the DuBarry, but what is that thing on the waist?! 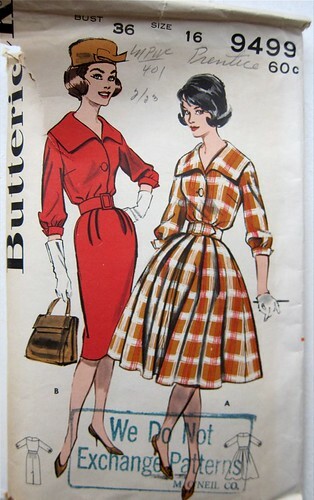 I know what you mean about the cut-on sleeves, I'm about to tackle a blouse and cardigan (1953 butterick), both with cut-one sleeves. Hopefully it'll work out okay, but I worry that today's bigger biceps and, you know, freedom to move in an unladylike manner, may do them in. Hope to see more of your sewing on SewRetro!